Welcome to Crooked Billet and Kent Road. 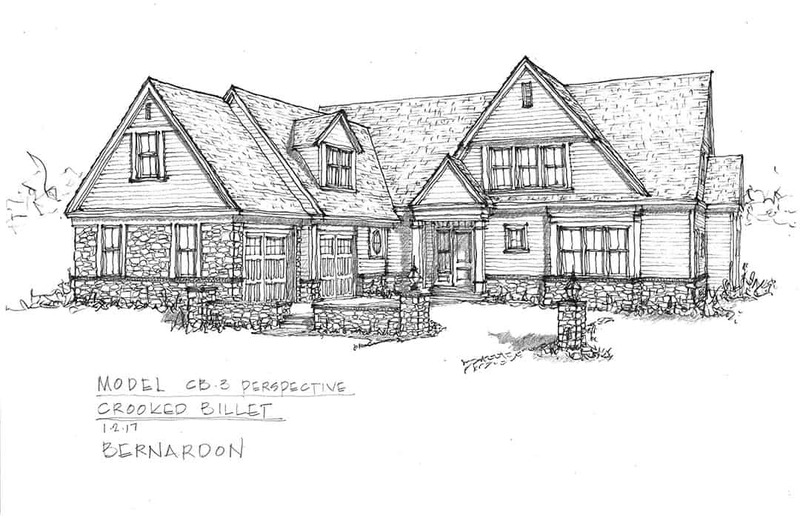 Located right in the very heart of Greenville, DE, Crooked Billet will be a community of 19 – 55+ homes and 7 lots on Kent Road built on 28 acres by Dewson Construction in partnership with architects from Bernardon and the realty group of Brandywine Fine Properties. The Crooked Billet 55+ neighborhood also includes a large lot with an existing cottage as well as another large parcel with the existing estate home. 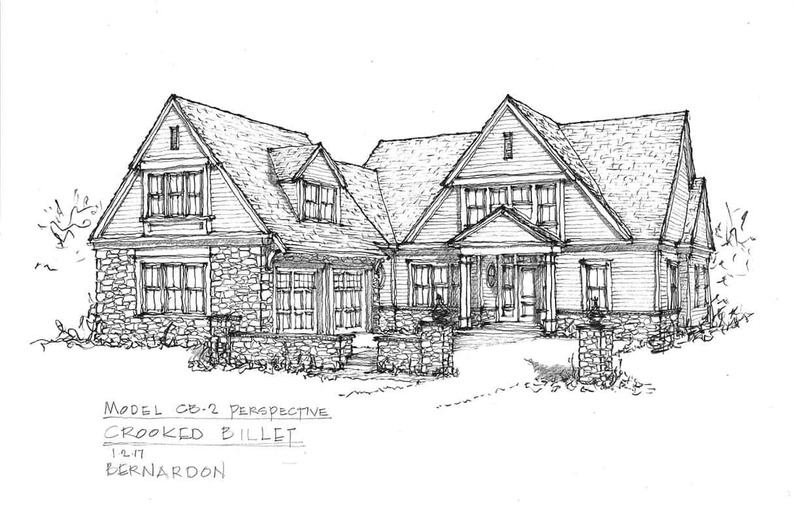 The Crooked Billet and Kent Road homes will reflect the beautiful and timeless architecture of the area that makes Greenville the premiere and desired location that it is, while enabling a simpler lifestyle for those wishing to downsize and leave the landscaping chores to someone else! 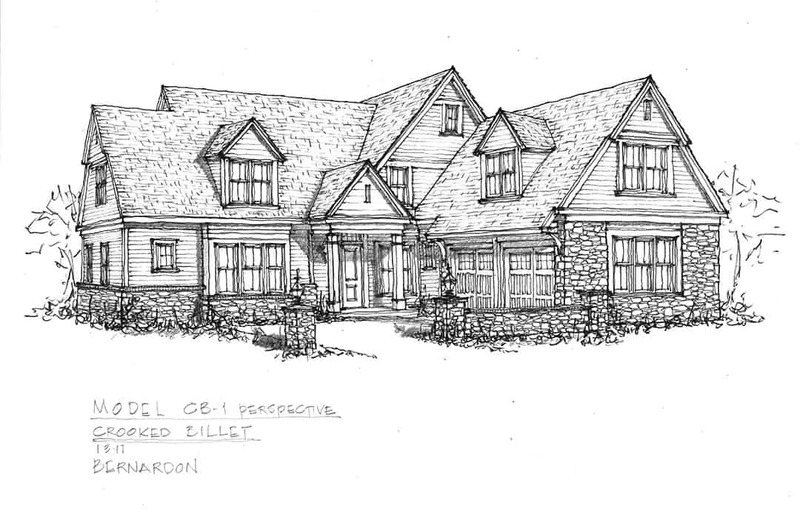 Connected by a walking path to Crooked Billet is an additional 7 lots (.40 acre +) located on Kent Rd. 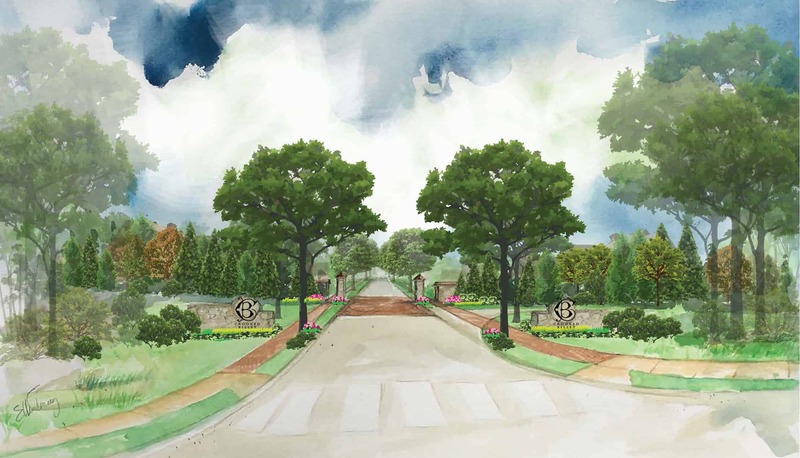 in Westover Hills where Dewson will use your plans to build your dream home. 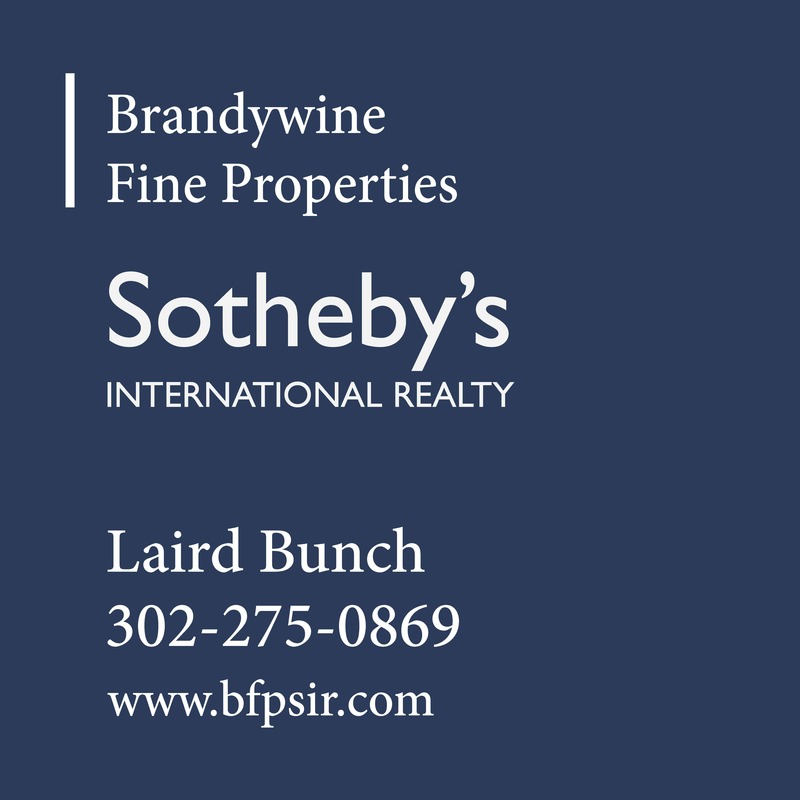 An incredible opportunity to be in Greenville in a new home and be able to walk to shop and have immediate access to all major highways, and less than 30 minutes to Philadelphia airport. 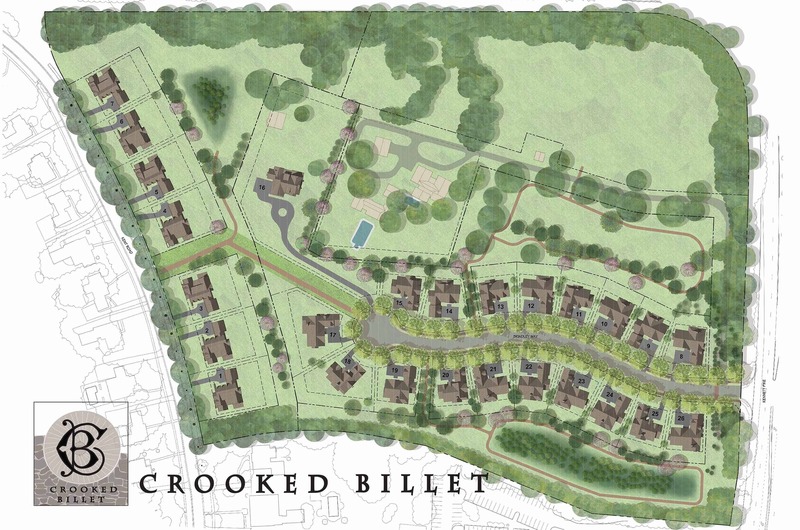 Curious about “Crooked Billet” history? The property was deeded by William Penn to Adam Stedham who built his small two room stone home there in 1684, and whose son, William, expanded that home in 1702 to become a tavern and inn that he called “Crooked Billet” which was a name frequently given to medieval English taverns, when a bent stick, then called a billet, was hung over the tavern doors to let travelers know, few of whom could read, that ale, food and lodging were available. General Washington and his army met at Crooked Billet on September 9, 1777, shortly crossing the Brandywine into Pennsylvania at Pyles Ford to meet the British in the Battle of the Brandywine on September 11th. Crooked Billet continued to operate as an inn until 1811 when it became a farm and passed to the duPont family in 1864 where it has remained since then.